Part of Western Mountaineering’s aptly named ExtremeLite series, the down-insulated SummerLite (MSRP $395 for 6’0” Length) mummy bag sports a 32°F rating at an impressively light 1 lb 3 oz (19 oz). 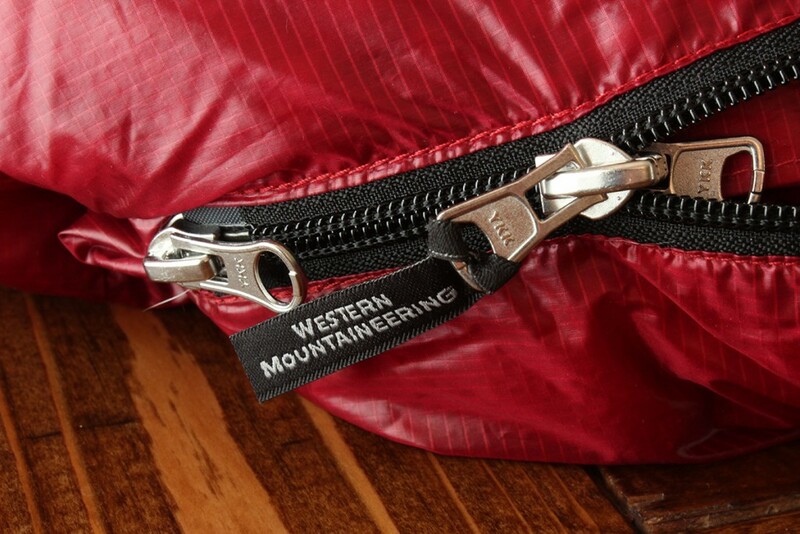 Western Mountaineering’s product page states, “Our goal in designing this bag was to make it as light as possible without eliminating key features or function.” This certainly appears to be the case on paper, as the SummerLite incorporates features such as a water resistant finish, full length zipper, draft tube, and continuous baffles. As a bonus, the bag is made in the USA. ExtremeLite series bags, including the SummerLite, use a ripstop nylon shell – a Durable Water Repellent (DWR) finish is applied to the fabric to aid in keeping the 850 fill power goose down insulation dry. 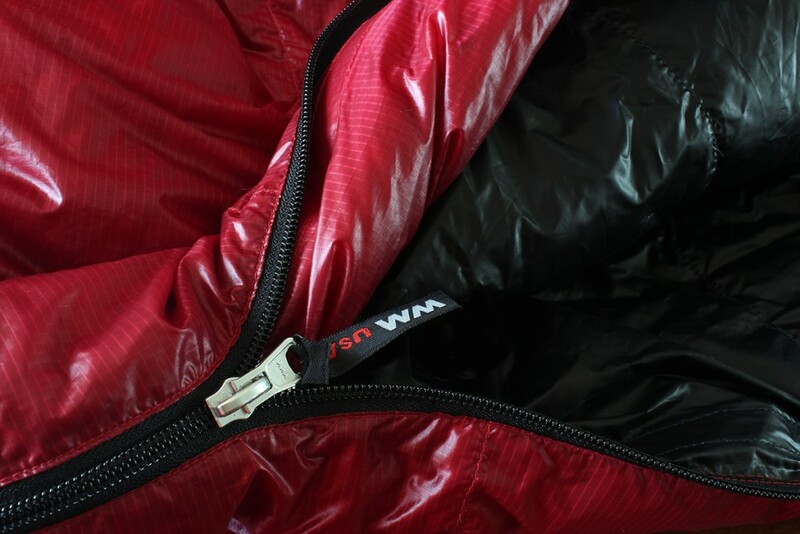 The full length zipper offers some flexibility with regards to bag entry and exit, while the accompanying draft tube blocks cold air from creeping in along the zipper’s length during colder weather use. Continuous baffles allow the user to shift down in the bag to adjust the amount of insulation, and thereby warmth, and are marketed as making the bag more comfortable throughout a range of temperatures. 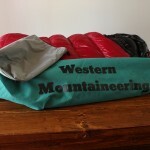 Three items were included with the sleeping bag – a stuff sack, a storage bag, and a Western Mountaineering sticker. YKK zippers with two pulls. Draft tube visible – red nylon on inside of bag/zipper. 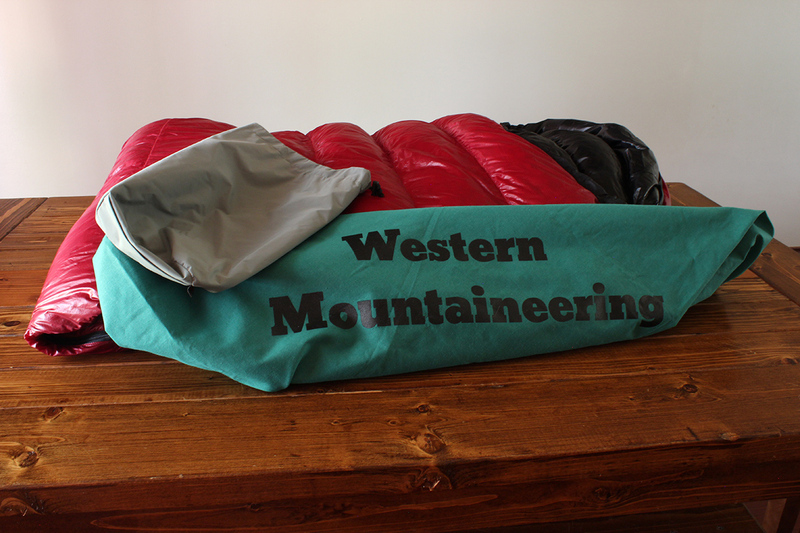 After nearly fifteen years of faithful but progressively infrequent service, my previous sleeping bag’s synthetic insulation had lost nearly all its loft and was long overdue for replacement. Although I don’t recall the specific model of bag (only REI markings on the bag itself), I’m pretty sure it was an old version of the REI Polar Pod. With stuff sack, it weighed 3-4 lbs and was quite bulky even when compressed. Temperature rating somewhere in the 35°F range. A rating in the 30’s can be usable throughout the year in large portions of the South, especially if considered as part of a sleep system with appropriate base layers and/or clothing. It helps here that I tend to sleep warm. Not being overly conservative with the rating would also help reduce weight. Drastically reduce weight compared to previous bag. Two pounds max, preferably 24 ounces or less. Intent here was to get as light as possible to speed up 10+ mile hikes and offset the 3-4 lbs of camera and camera accessories I like to take hiking. Down insulation. This ended up being partially a criterion for the search and partially a result of the search. Down insulation tends to be quite compressible (reduces packed size), provides better insulation per weight than synthetic, and, when properly cared for, has a longer lifespan than synthetic insulation. The downside is that it loses nearly all insulation when wet, but this would be fairly simple to prevent. Once I got searching, it was a bit of a shock to see just how many different makes and models of sleeping bags were out there. 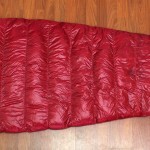 To simplify my search, I put together a rough list of about eighty – predominantly down insulated – sleeping bags in a spreadsheet. I then sorted and filtered the list to see which bags would fit the bill. WM HighLite. I dropped this bag from my list due to lack of a full length zipper and draft tube. 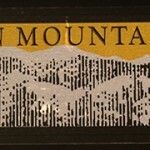 Mountain Hardwear Phantom 32. The version around at the time of my search had a number of complaints about a bad zipper. Therefore, it dropped off my list as well. Marmot Plasma 30. Prices on this bag varied widely and were rather unpredictable. When I first created the list, I found a price close to the other bags. At the time of final selection, price was substantially higher (>$400), so I dropped it from the list as well. Sierra Designs DriDown Cal 30. This bag appeared decent, and stayed on the list as a possibility. The handful of available reviews were positive. WM SummerLite. This bag had a large number of raving reviews and met all my other criteria. It remained on the list. North Face Hightail 2S. Also seemed decent and stayed on the list. Of the remaining three, I went with the SummerLite due to reputation. 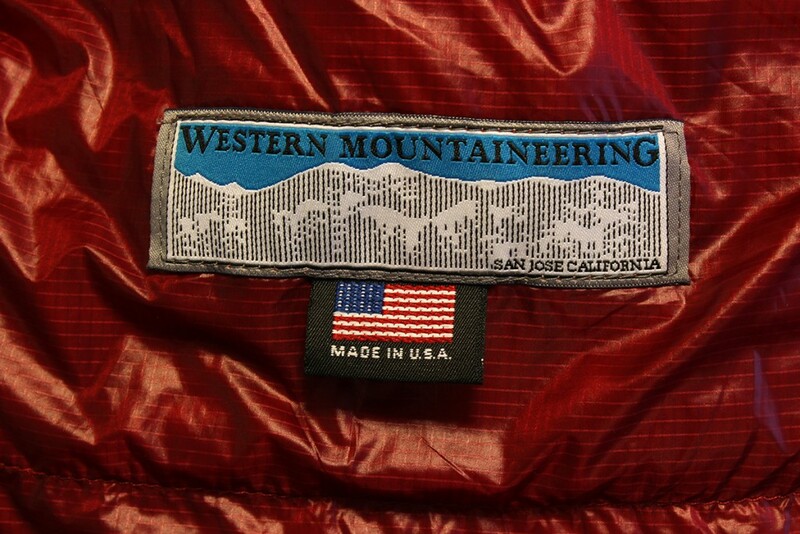 A common theme in my research was that Western Mountaineering’s temperature ratings were accurate, if not a little conservative, the bags well-constructed, and customers were consistently happy with the product. With my decision made, I purchased a 6’0” long SummerLite with left-hand zip. Being right-handed, I find it easier to cross my right arm over to the left for a final zip-up. Like the Zebralight H302w, I first had a chance to test this bag at Caprock Canyons State Park in Quitaque, TX. This bag weighed in at 18.6 oz, pretty much spot-on with WM’s reported weight of 19 oz. The stuff sack added 1.5 oz, bringing the total packed weight to 20.1 oz. Packed, the bag dimensions were approximately 6.75” diameter by 13” long – it easily fit in the main compartment of my Exos 46 pack. Camp was set up and the SummerLite unpacked about 6:30 PM, and I was in the tent an hour later. The bag appeared to have regained its loft in that time, with the vast majority regained in the first 5 minutes or so. Expecting potentially cold weather that night (“Texas cold”, mind you), sleeping attire was athletic pants, a lightweight long sleeve merino shirt, and merino Buff. I did not use a sleeping pad. Weather was clear, dry, windy, and in the 60’s Fahrenheit the evening of the test, with the temperature starting to drop when I turned in for the night. Once inside the bag, I found the SummerLite to provide ample room; for reference, I am 5’10”, 160 lbs. The interior nylon shell felt smooth and comfortable, and the zipper was easily managed from the interior for zipping and unzipping – the zipper did not snag the shell. Some unseasonably cool air moved in overnight, dropping the temp the next morning to 36°F. Despite the drop in temperature, I was quite warm throughout the night – too warm, in fact. Even at the coldest point in the morning, I had to roll up my sleeves and leave the top 18 inches or so of the bag unzipped to be comfortable. So, in my typical camping conditions (tent, light sleep clothing) I concluded that I can remain perfectly comfortable down to at least 36°F outside temperatures. I will be taking this bag to Olympic National Park in a few weeks for another trip. Since the cool/damp conditions in the Northwest may affect bag comfort, I’ll report back with any further thoughts or findings. The Western Mountaineering SummerLite was of high quality construction and provided excellent warmth and comfort during my test. Taking into account the extremely light weight (19 oz), the SummerLite gives a lot of performance in a small package. The price is fairly steep, but in this case I believe the buyer gets what he or she pays for. I highly recommend this bag, but advise prospective owners to keep an eye out for a sale/good deal, or purchase from a vendor with a rewards program where a portion of the expense can at least offset future gear purchases. I also need new down sleeping bag. I will be using bag for spring, summer camping and mountaineering (where lower temp around 0C are expected). 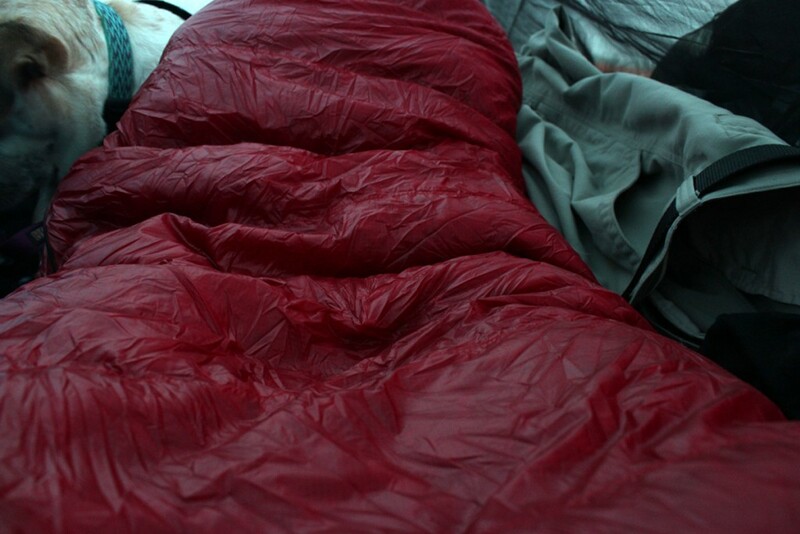 I will do camping in a single layer tent and also sleeping by rivers in summer where temps can drop to 5-15C. The only concern with this bag and all other WM bags is the outer shell material which is not so water resistant as other shells using PU coating on the other side of material where down is placed. And now about the size. I am 181cm, 75kg. Around chest i am 98cm. I usually sleep on side. What do you recommend about the size. Should i go Summerlite size or Megalite? What do you think about temperature ratings. Would summerlite handle all mentioned, even in dump conditions? 1) It looks like we’re about the same height/weight (I’m 5’10″/178cm and 160lb/73kg). I found the Summerlite to be comfortably sized, that is I felt that I had plenty of room to move around but it did not feel excessively loose or baggy. Based on size alone, I think the Summerlite would be a good fit. 2) My first night out with the Summerlite is described in the review. It was in dry conditions at 36F (about 2C) outside temperature. With lightweight merino on, I did not feel cold at any point in the night. The second trip to Olympic National Park was a little warmer (about 40F/4C), but also dry – still felt warm in the bag. I don’t have experience with this bag in wet weather yet, but I see no reason why it wouldn’t work in damp conditions provided the bag is kept dry. If sub-freezing weather is expected, the Ultralite seems like a reasonable alternative with a 20F rating and still comes in at under 2 lbs.